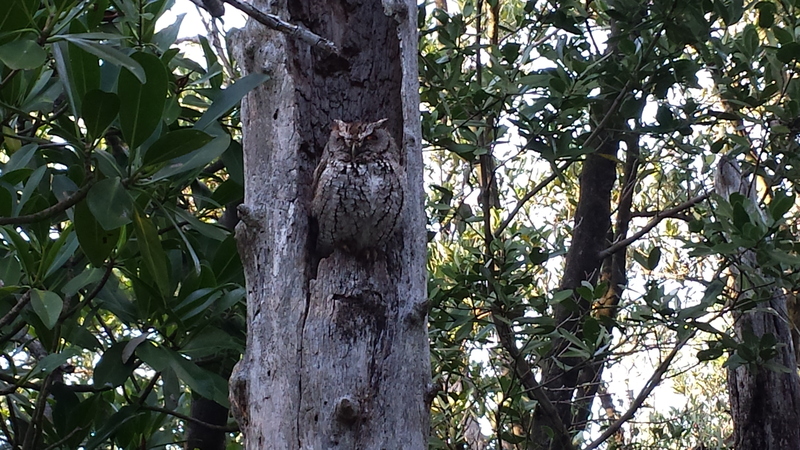 Pelican Bay – Naples, FL – While out for our after work walk to the beach this evening my husband and I saw our local Pelican Bay Personality, the screech-owl in the hollow tree on the north boardwalk. I was able to snap a decent photo this time to share with you. My husband and I always enjoy watching children discover the owl nested in the hollow of the tree. What a great way to enjoy an evening! If you lived in Pelican Bay, you could be enjoying all the wildlife in Pelican Bay! Would you like to own a home in Pelican Bay? SEARCH HERE once at the search page you can search by development and save your search. You will receive new listings on a daily or weekly basis.